Have you gotten your outfit for the Sneaker Ball October 12? If you need some ideas or looking for inspiration to make you sure you win “Outfit of the Night,” here are a few of your favorite celebrities rocking sneakers with suits and gowns. 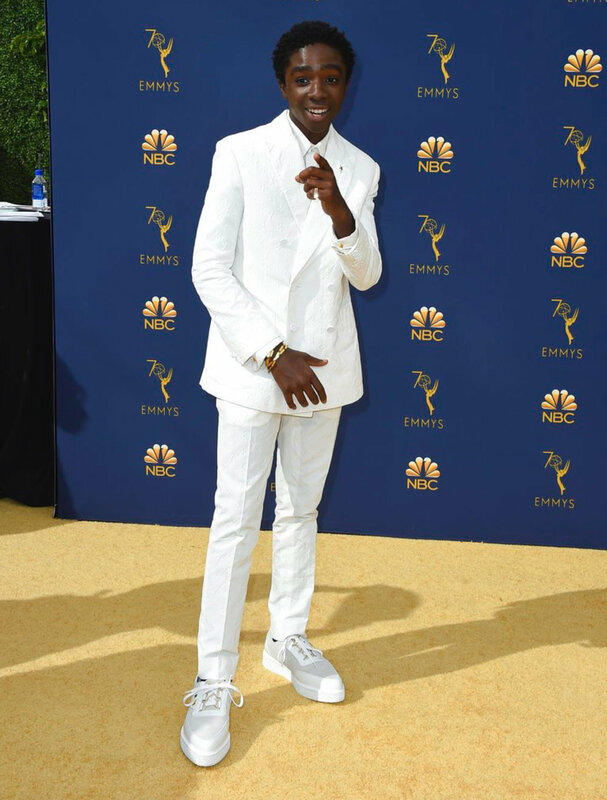 Stranger Things Star looked like an angel in his all white Louis Vuitton suit at the Emmy’s last night paired with sneakers. Virgil released these "UNC" Air Jordan 1 in June and wore them at the Met Gala. I love how Abloh added the "for red carpet only" touch to the sneakers as DJ Khaled rocked the same Off White x Nike collab sneaker at the 2018 Billboard award. Dej Loaf is always making a fashion statement. I am all for women in men's attire, and she looks good doing it in the Gucci platform sneakers at this year's pre-Gramm Rocnation brunch. Tyler the Creator premiered his custom Le Fleur Converse Chuck Taylor High-Tops at the Grammy's this year. I am here for this entire outfit, pairing the statement pieces with these simple shoes was genius. Not your traditional black tux. R&B artist, Khalid, at the 2018 Grammys in Gucci Rhyton Sneakers. Last year Rihanna paired this custom Molly Goddard ball gown with white sneaks that no one can name. Lil Wayne wore a pair of traditional simple Vans to 2chainz wedding. Definetely standing out in this staple sneaker. This outfit might have been my fav. Rich the Kid’s Off White suit paired with these white and blue Chanel sneakers I’m sure was a head turner at this year’s Brit Awards. I think black suits with black shirts underneath is so attractive on a man, and A$AP came to Rihanna's Diamond Ball dressed to the nines, pairing a Berluti suit with Dior dad sneakers. options are limitless, hope this post gave you some ideas for sb18 . If you haven’t gotten your tickets or interested in more info click here.